There are many resources that can help coin collectors, old or new, in determining the value and worth of the coins they have. There are books out, “The Red Book” (A Guide Book of US Coins), “The Blue Book” (A Handbook of US Coins), as well as coin newsletters and catalogues available at any public or private library, coin dealers/shops anywhere in the US. There are also online guides for the prices of US coins available on the web, specifically the NumisMedia site. For a synopsis of the price of each coin, the following are the basic values of each cent, penny, or dime in the market. The price of these coins made prior to 1958, or those that are dated 1940, are currently being purchased by coin dealers for two cents each, or less. Those made before 1940 command a much higher price - from a few more cents to a few dollars. Silver-dollars from the US, especially those made before 1935, have almost an ounce of silver in them. These coins are the favorites of coin collectors and could be sold for more than their actual value in silver if they are undamaged or not worn severely. If by luck you happen to get one of these as a change, the value is more than a dollar and proof Susan B. Anthony dollars command even more. They are not easy to fine as they are not usually being circulated. There were billions of these coins made out, and because there are so many of them, their worth is usually just face value. 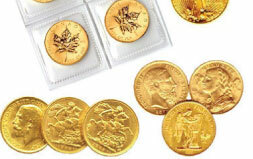 There are coin dealers however who pay ten percent of the face value as premium for circulated bicentennial coins, and a few dollars more for those that are uncirculated. Believe it or not, there are two-headed coins out there. Basically, these are coins with two different designs on each face. These coins were made in error and mistake was not discoverer until the year 2000. This type of coins is usually called “mules”. In 1999, it was found that a cent with Lincoln’s face on one side and Roosevelt’s dime image on the other existed. It you find a coin of this it must be taken to a legitimate coin dealer and assessed to determine if is genuine. If so, this coin could be put up for auction and command a few dollars more. It is therefore true that a coin is basically worth more than meets the eye.